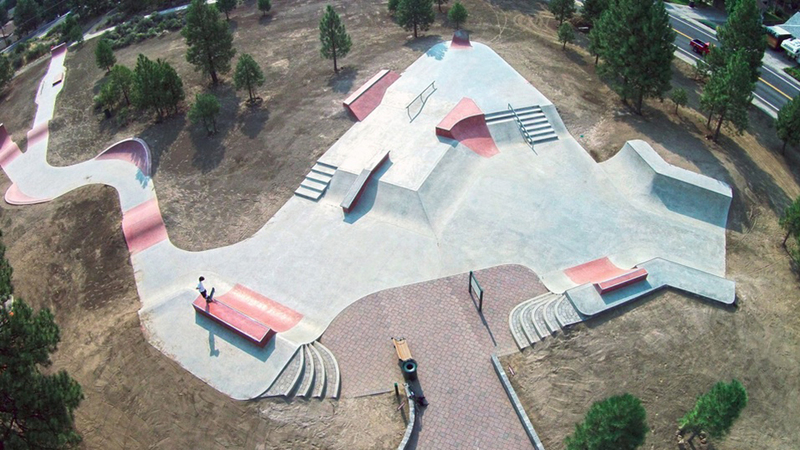 Ponderosa Skate Park may be owned and operated by Bend Parks and Recreation District (BPRD), but it is the skate park the community built. That’s because the design was created in partnership with and input from the public, skateboard enthusiasts, and local skatepark advocacy group PUSH (Providing Urban Skate Habitats). The end result is an 8,000 square foot main park and 4,000 square foot skatepath and features a variety of street and transition opportunities including quarter- and half-pipes, two sets of stairs, grind rails and ledges, radius wave, and pump bumps. The park is open to riders of all skill levels; experienced riders should extend courtesy to new riders and all riders should skate within their abilities. Skaters must follow the park’s do’s and don’ts, which are posted in the park and on the BPRD website. Ponderosa Skate Park is located along the south end of Ponderosa Park near Wilson Ave. between 15th Street and is open from dawn until dusk in dry conditions.